Team Pilipinas couldn't overcome Iran's length and shooting sans Hamed Haddadi, falling 81-73 Thursday night on the road. 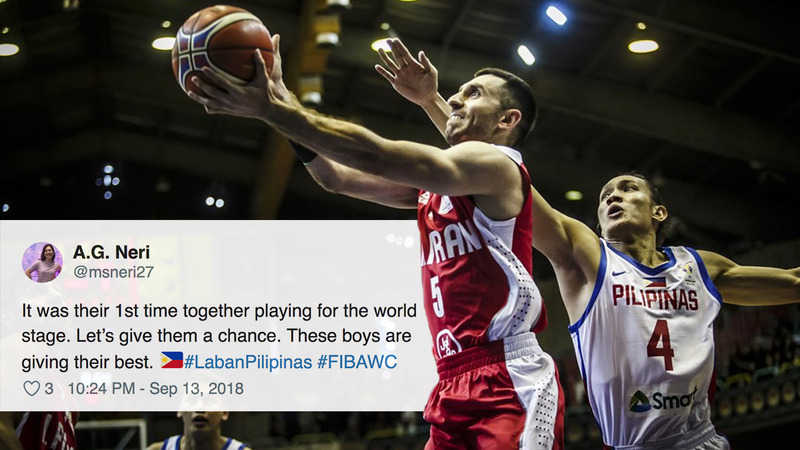 This was the PH's first game in the FIBA World Cup Asian Qualifiers since finding themselves on the wrong side of history, after being involved in an ugly brawl with Australia back in July. Ten Pinoys were suspended for "unsportsmanlike behavior," including Japeth Aguilar and Matthew Wright, who still flew to Iran with the team. The Iranians spoiled the national team debuts of the likes of Scottie Thompson and Alex Cabagnot. Christian Standhardinger led our side with 30 points and 12 rebounds.